Prominent & Leading Manufacturer from Pune, we offer mass flow meter, alicat mass flow controller, bidirectional mass flow controllers, mass flow meters, alicat mass flow meter and boron trifluoride mixtures gas. We are offering Mass Flow Meter to our clients. We provide high-quality products to our clients. 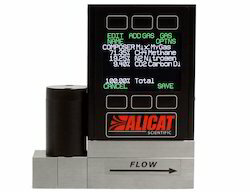 Alicat Mass flow controllers can be set by user to control pressure,Multiple digital & analog inputs and outputs, Digital and analog input and output available on the same device. 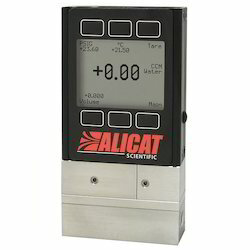 Alicat Scientific proudly introduces the world’s first bidirectional flow controller. Control flows into your process in one direction, and then switch directions. Or control flows into a closed process, and then vent the volume with no need for additional bleed valves. Measure mass flow and volumetric flow in both directions, plus absolute pressure and temperature. Control mass or volumetric flow from a pressurized source or from vacuum. 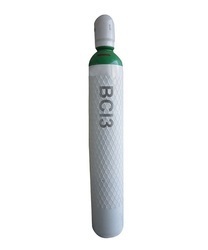 Control absolute pressure in a flowing process or closed volume. We are offering Mass Flow Meters to our clients. We provide high-quality products to our clients. Monitor mass flow, volumetric flow, pressure, and temperature simultaneously for multiple gases, or define your own custom gas mix using COMPOSER™…on one instrument. 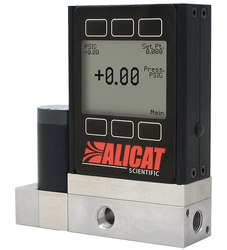 Alicat also offers one of the lowest cost NIST-traceable recalibrations on the market. As quality standards are now demanding that precision instruments be recalibrated once per year or more, companies can save up to 68% on their yearly cost of ownership. Now including COMPOSER™ gas composition software! No warm-up required: ready to operate in one second. Stand-alone unit: no need for computer or PLC. All flow data visible on one screen (mass flow, volumetric flow, absolute pressure, temperature). The offered Mass flow meter is accessible in different models, sizes and stipulation to meet the various requirements of the customers. In addition to this, our professionals are capable to modified this Mass flow meter within the minimum time – frame & at affordable rates. We have received several accolades for our best quality products and customer oriented services. 49 5385 190 70 Pressure @ 21.1oC 1800 psig max. Specification of Digital Gas Flow Meter. Wetted Materials- 303 & 302 Stainless Steel, Viton®, Silicone RTV (Rubber), Glass Reinforced Nylon,Aluminum. Packaging Details: We are the suppler of Excimer Laser Gas For Eye Surgery for different Machines like Bausch & lomb, Nidek, Visk, Asclepion- Mdeitec, Eriris/ Schwind, Laser Sight ,Summit , WaveLight. Define gas compositions to 0.01% for each of up to 5 constituent gases. COMPOSER™ mixes are NIST-traceably accurate to 0.8% or 0.4% of reading. Create and store 20 COMPOSER™ gas mixes simultaneously on each device. Generate gas lists for multiple units in seconds with single RS-232 commands. Supplied as standard software on all mass flow instruments. *Available on remote-display units by request. Never use inaccurate K-factors again! Complete NIST Ref Prop 9 gas properties data for up to 130 preloaded full gas calibrations, selectable in real time. *See the full gas list below. We are engaged in manufacturing and supplying Germanium Tetrafluoride. Made utilizing premium quality engineering raw materials, these Germanium Tetrafluorides are available in various standard sizes. Entire range of Germanium Tetrafluorides offered by us is hugely demanded owing to their application specific designs and precision engineering. These can be availed in variety of designs and patterns. 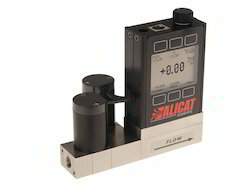 The LC-series liquid flow controller uses Alicat’s patented laminar flow design to provide users with fast, accurate, and stable volumetric flow control for water and selected other liquids. At the heart of Alicat’s LC-Series liquid flow controllers is an internally compensated, laminar differential pressure measurement technology that yields linear results over a wide flow range. 100-ms speed of response stills upstream fluctuations. Simultaneous display of volumetric flow rate and line temperature. Custom valve orifice sizing yields full-range stability. Easy to access front bleed ports for easy removal of trapped air. Optional 100-psig sensor provides real-time readings of line pressure. No warm-up: ready to control process flows in one second. Alicat’s L-series liquid flow meters uses our patented laminar flow design to provide users with fast, accurate, and repeatable volumetric flow measurement for water and selected other liquids. 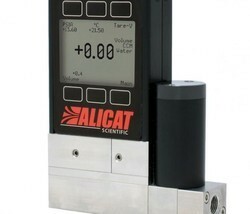 At the heart of Alicat’s L-Series liquid flow meters is an internally compensated, laminar differential pressure measurement technology that yields linear results over a wide flow range. 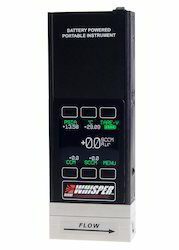 20-ms speed of response enables precise measurement of changing flows. No warm-up: ready to monitor process flows in one second. 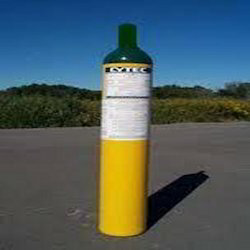 When using expensive gases or systems with very little total pressure, pressure drop becomes a serious consideration. 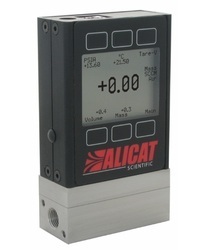 With full-scale pressure drops as low as 0.06 psi (4 mbar), Alicat’s “Whisper” Series of mass flow meters and controllers is an excellent solution for low pressure drop applications. Low pressure drop minimizes system impact, enabling flow measurement and control at near-atmospheric pressures, perfect for aerospace and environmental gas analysis applications. Reduced pressure drop also means more process fluids go into your process and not into your measurement devices. Low pressure drop enables faster stabilization for leak testing applications. 5-ms speed of response for meters, 50-100 ms for controllers. Accessible PID control valve tuning for best speed and stability. Control mass flow, volumetric flow or absolute pressure with one device. Stable flow control in 50 ms Flow stability rests on a controller’s ability to be fast and accurate. Our mass flow controllers are faster than any others, suppressing line pressure fluctuations in real time to maintain stable flow, which saves you time and operational expense. 50-100 ms speed of response stills upstream fluctuations. Patented differential pressure-based flow measurement technology. 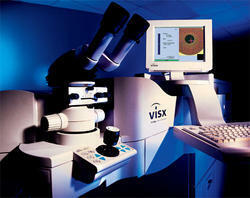 Laboratory-grade flow verification in 20 seconds! Stopping an operational process for validation or calibration is a necessary evil. 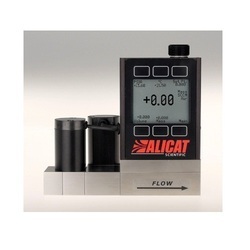 Alicat’s portable flow calibrators make this procedure more palatable by reducing the downtime and disruption to your process. Get in. Validate. Get out. Nothing is faster! Calibrate in real time with multiple gases across wide flow ranges. Our portable mass flow meters are the fastest way to verify flow rates in the world. They employ our patented differential pressure-based flow measurement technology, which is powered by a high-efficiency lithium-ion battery that yields 18 hours of continuous operation for monochrome displays (5 hours with backlit color displays). No warm-up required: ready to calibrate in one second. Stand-alone unit: no need for computer or external power. Battery status indicator never leaves you without power. 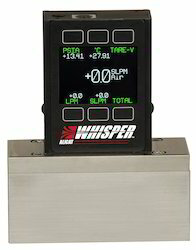 A mass flow controller (MFC) is a device used to measure and control the flow of liquids and gases. A mass flow controller is designed and calibrated to control a specific type of liquid or gas at a particular range of flow rates. 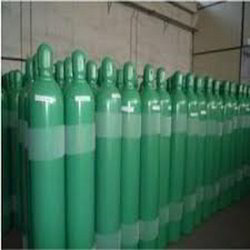 We can supply special type of Phospine Gases as per customer requirement download pfd for more detail. Phosphine can be manufactured in number of ways including hydrolysis of metal phosphides or direct combination of the elements under pressure. Looking for Mass Flow Meters and Controllers ?